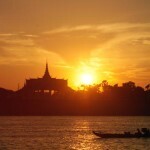 Take this 2-hour Mekong river boat trip watching sunset over Phnom Penh, see the distinctive architecture of the Royal Palace and Silver Pagoda as your boat cruises past the junction of the Tonle..
Head to a rural village for an interactive, learn the secrets of authentic Cambodian cuisine with local chefs in this half-day cooking class. 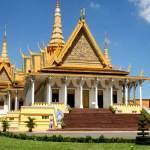 You’ll learn about why Cambodian food is delicious, as.. 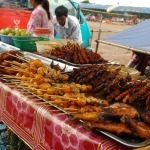 Taste the best of Siem Reap’s street food on a 3-hour night tour! 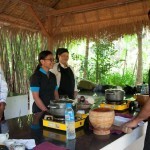 Hop on a remork-moto (a motorized rickshaw) and ride off the beaten path to explore Cambodian cuisine with your food-loving local.. 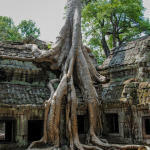 Private day tour of magnificent Angkor complex in Siem Reap, Cambodia, explore the Angkor Thom and the enigmatic carvings of Bayon Temple; the lost jungle city of Ta Prohm, and marvel at the..
Phnom Penh is the vibrant bustling capital of Cambodia. Situated at the confluence of three rivers, the mighty Mekong, the Bassac and the great Tonle Sap, what was once considered the 'Gem' of..